Take your interior styling to the next level with the Terni Matt Grey and Form Velvet with Brass 4 Seater Dining Set. 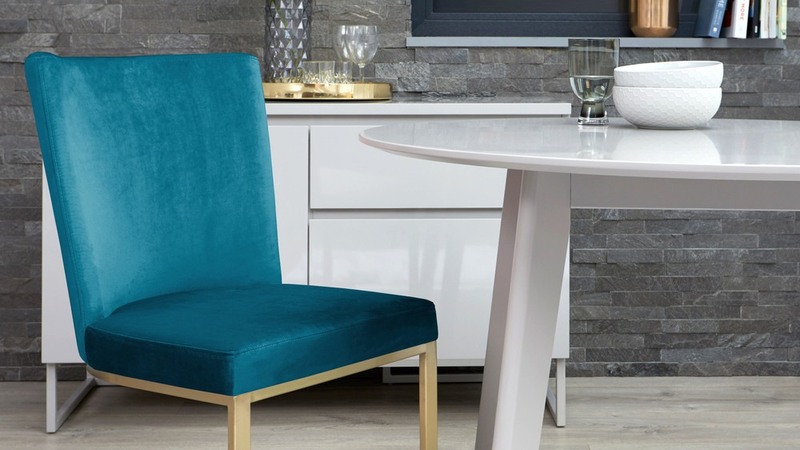 This modern set combines a smooth matt grey table with an opulent velvet and brass dining chair. 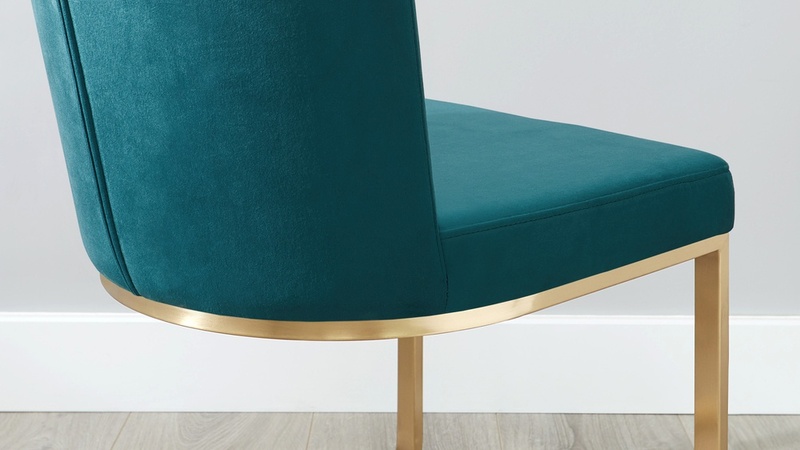 The dense foam used for the Form chair delivers on both comfort and recovery while the velvet upholstery adds a wonderfully plush, warm and inviting feel. The Form is also an exclusive design, so it's a really unique piece. 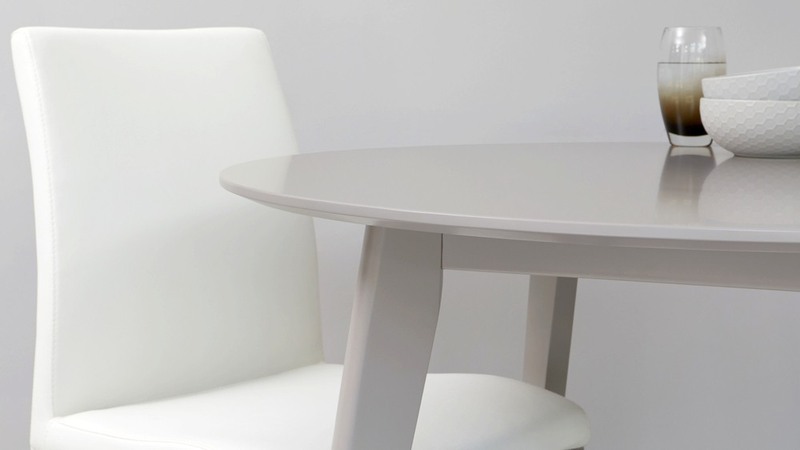 Round tables are inherently very convivial as their shape instantly creates a cosy and more intimate dining setting. 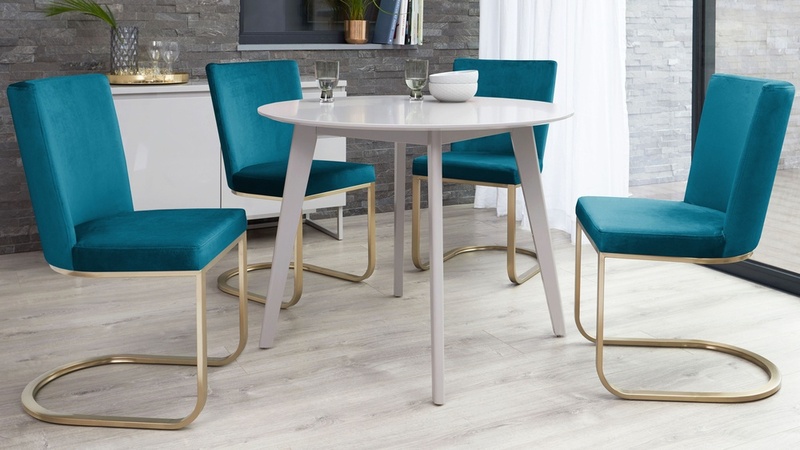 It's the shape and clever sizing of this four-seater table that makes it perfect for an area where you may not have a dedicated dining room and are looking to make the most of your open plan space. 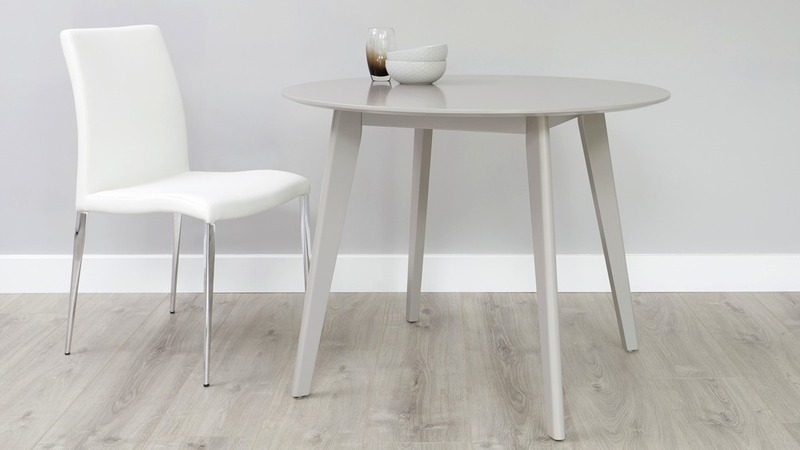 The Terni table is finished in a satin matt grey. 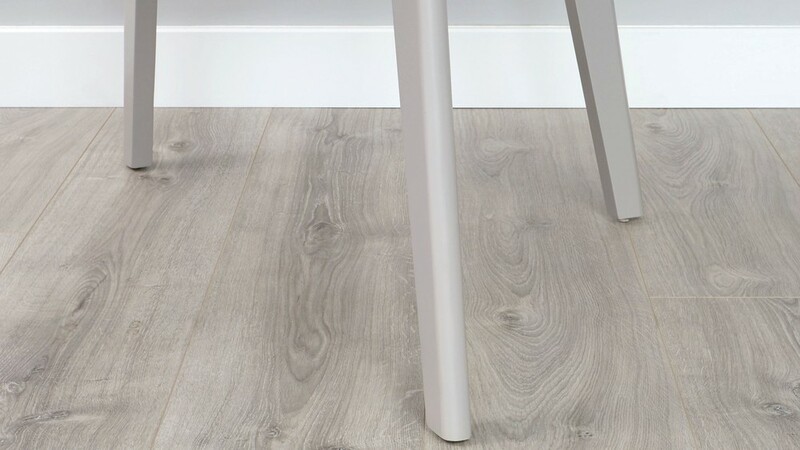 A matt finish isn't a high shine like gloss but it does have a subtle sheen. 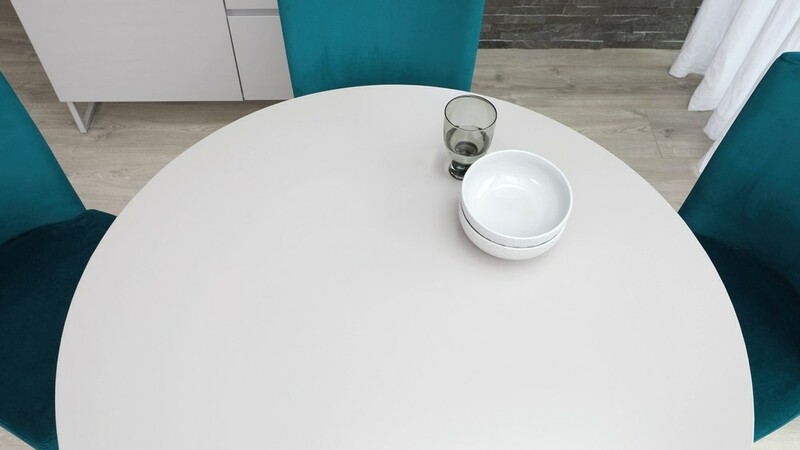 This helps to keep the table looking light and tactile adding a modern, bright and spacious feel to your dining room.  A modern nod to a classic farmhouse family table, the design of the Terni is a simple four-legged apron construction. This keeps the table looking slim and streamlined, while providing plenty of legroom for the Form cantilever chairs. The curved cantilever base of the Form chairs is made from a steel rod that has been reinforced with a solid metal inner thread. It's this clever engineering that keeps the chair lightweight and easy to move, while still adding that extra layer of frame support and a gentle bounce when seated. 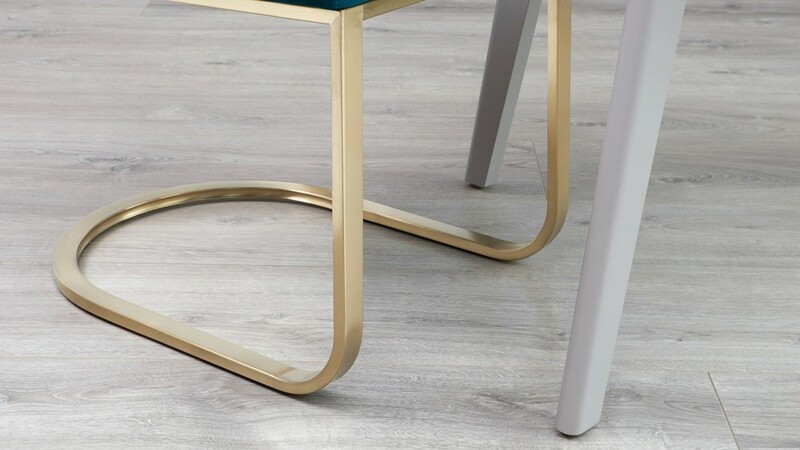 The cantilever base is finished in a trendy brushed brass which offers a wonderful shine, without being overly reflective. Brass is a really simple way add a modern feel to your space without it becoming too overpowering. It's also a designer contrast to the smooth velvet upholstery. 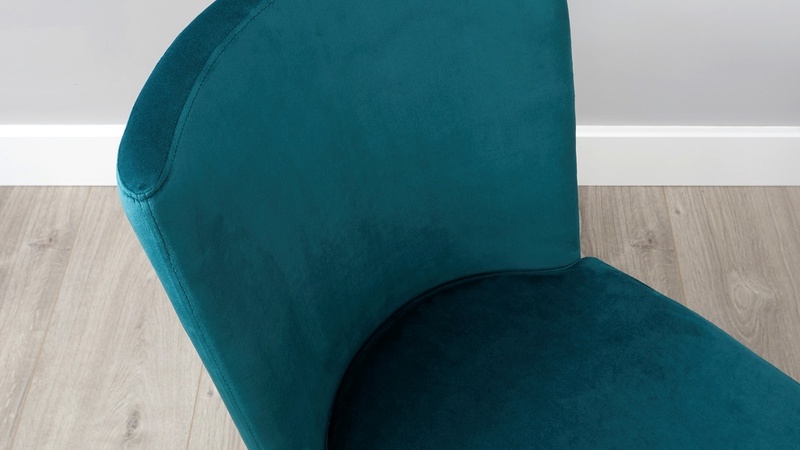 Upholstered in a 100% polyester short pile velvet, the cut of velvet used for the Form chair has a light sheen that gently reflects light, rather than looking flat or shiny. 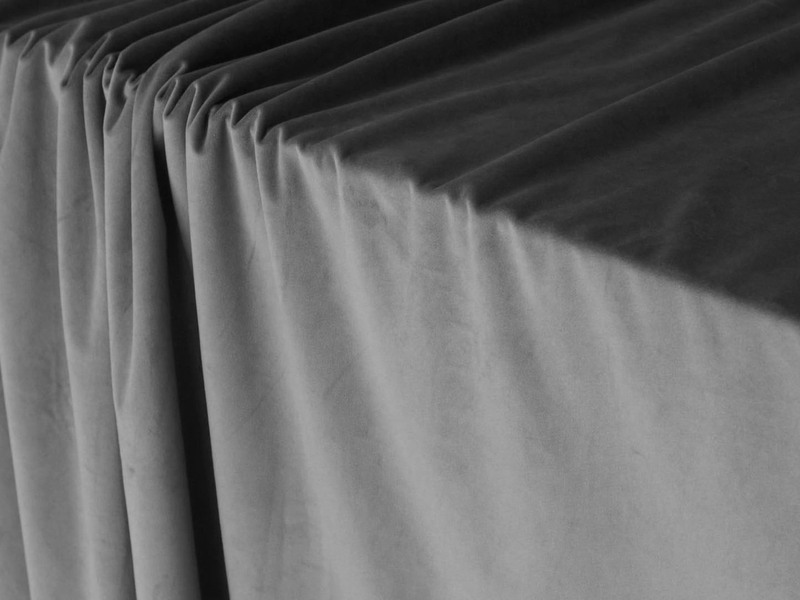 Velvet is far easier than you might think to have in your space. It's not overly bright, dark, or a strong accent, so you can seamlessly coordinate and style it alongside existing finishes. 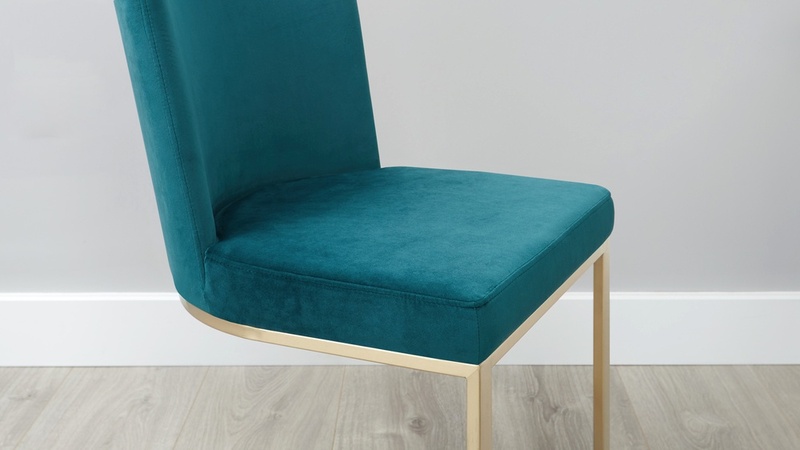 This dining set includes 4 Teal Velvet dining chairs, however for a different look we can also do this set in the Blush Velvet, as pictured, contact us for more information. 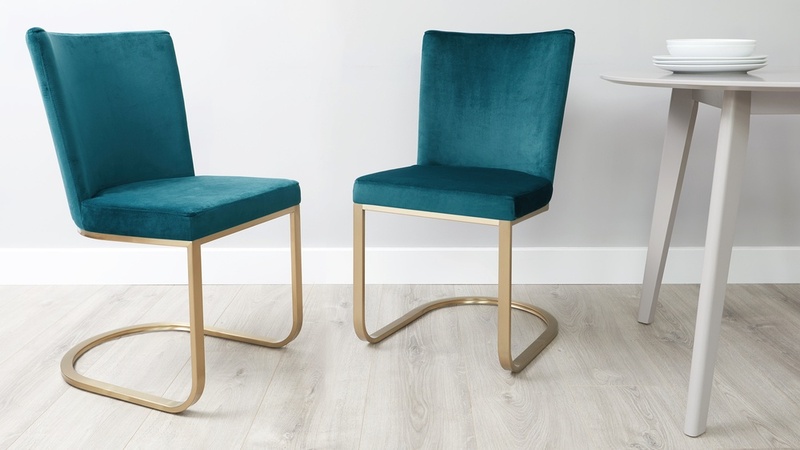 You can view the Form brass velvet dining chair and Terni matt grey table separately if you'd like to see more on the individual products. 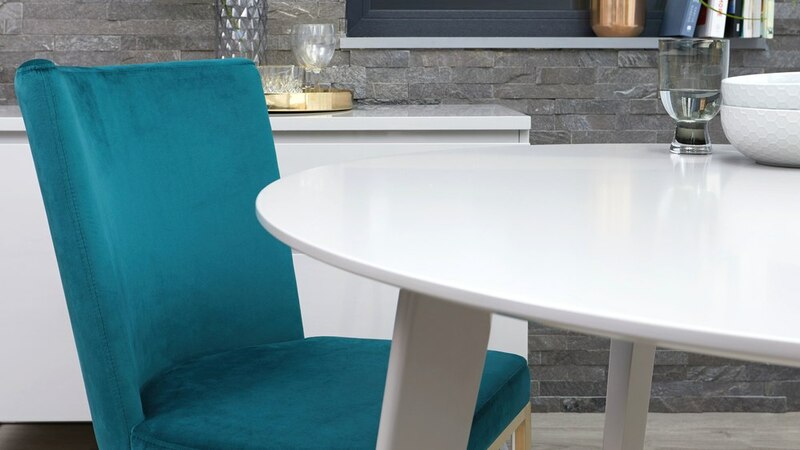 If you're after a different finish, take a look at the Terni Matt Grey and Form Velvet with Steel 4 Seater Dining Set. Delivery: Delivered to you 8 weeks approx.